In the United States, more than 2 in 3 adults are considered overweight or obese, more than 1 in 3 adults are considered obese, and more than 1 in 20 adults are considered extremely obese. This equates to approximately 68.8% of the entire U.S. population. It’s common knowledge that obesity increases the risk of health issues like heart disease, high blood pressure, type 2 diabetes, osteoarthritis, and a whole host of other problems. Now new research suggests obesity may affect brain tissue as well. Results from a study published in the journal Neurobiology of Aging found overweight people had a significant amount of reduction in the white matter of their brain, as compared to non-overweight people. Researchers hypothesized that obesity would affect the onset and progression of brain aging. Study results supported this, as the study authors found that the amount of reduction in white matter in an overweight person’s brain was similar to the amount of reduction in white matter in the brain of a non-overweight person 10 years older. This cross sectional study gathered data from 473 participants between the ages of 20 and 87. It specifically looked at the effect of obesity on brain structure across the adult life span. Splitting the participants into two categories - lean and overweight, where the marker of “overweight” was anyone with a BMI 25 or over - researchers found the difference in white matter doesn’t start happening until middle age. This suggests our brains may be vulnerable during this time. 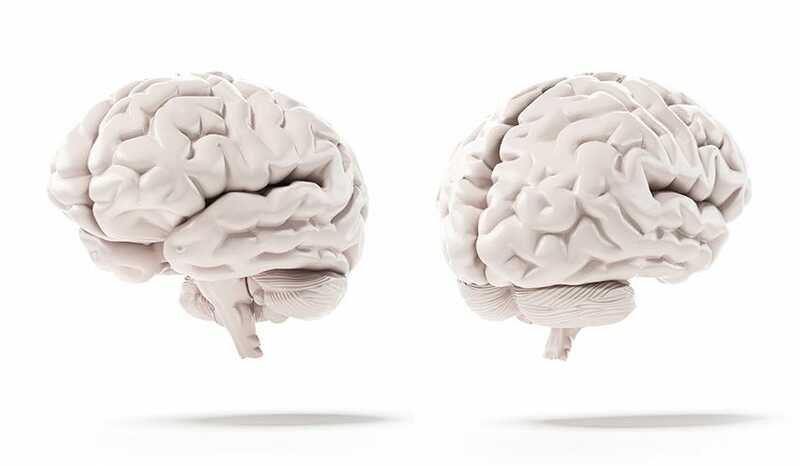 White matter, also known as substantia alba, is the tissue that connects grey areas of the brain and allows information to be communicated between grey matter and other areas of the body. It also controls functions like temperature, blood pressure, and heart rate. Brain shrinkage is linked to a higher risk of cognitive decline and dementia. However, this study found no difference in cognitive functioning, measured by an IQ test, between lean and overweight participants. "We don't yet know the implications of these changes in brain structure...Clearly, this must be a starting point for us to explore in more depth the effects of weight, diet and exercise on the brain and memory."